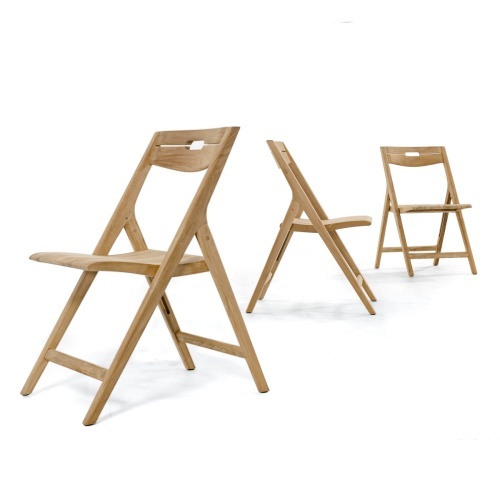 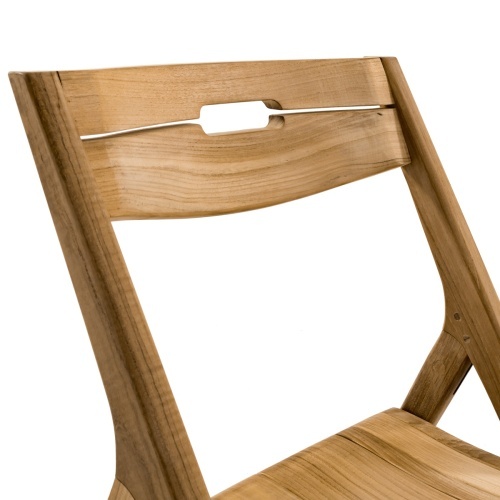 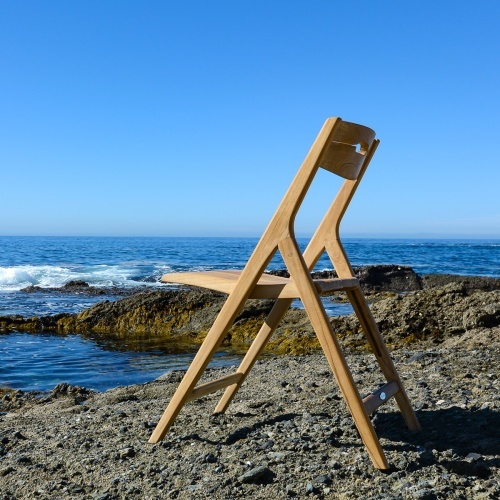 Clean lines, welcoming curves, and the organic feel to the touch of its smooth rounded edges give the Surf Folding Chair its immediate appeal. 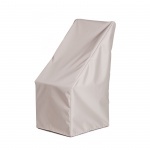 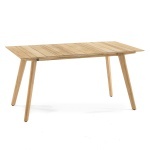 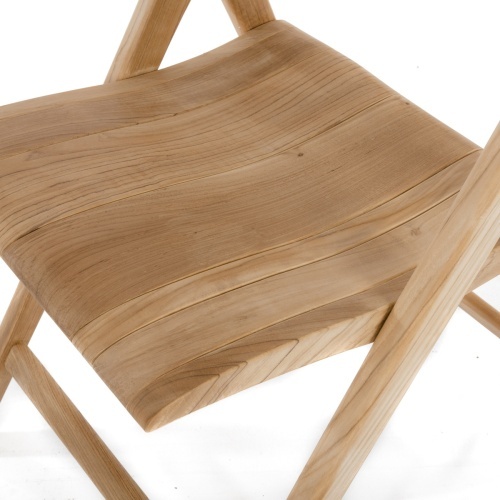 First impressions hardly reveal that the exceptionally comfortable chair folds effortlessly. 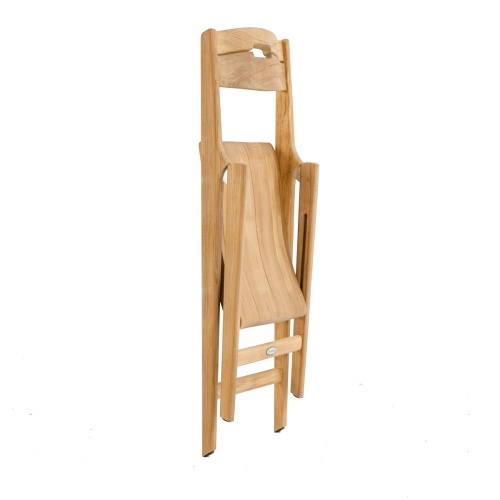 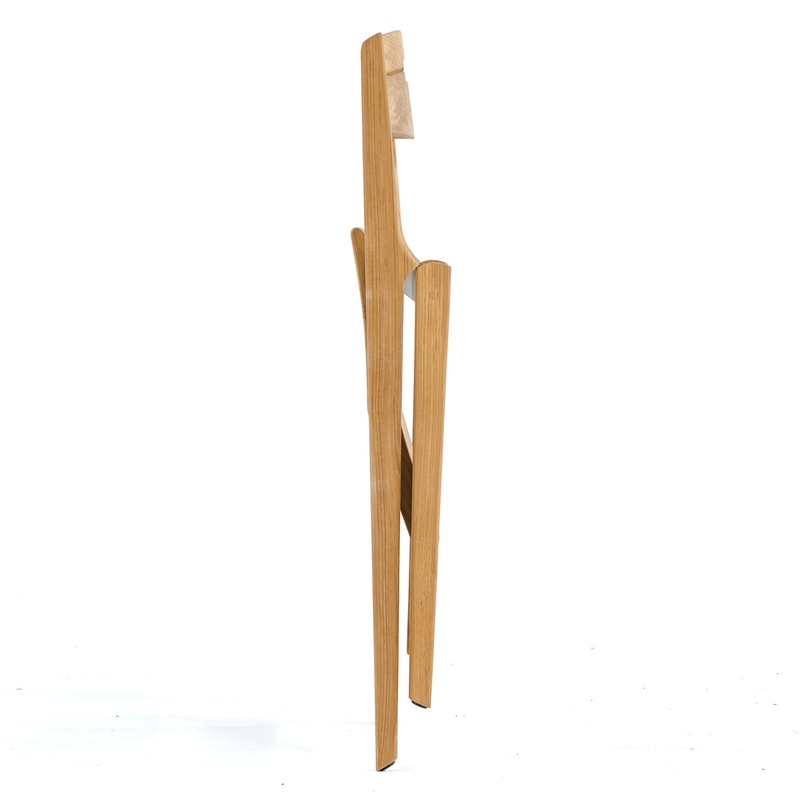 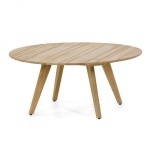 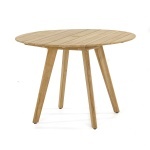 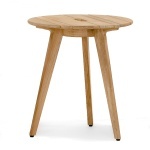 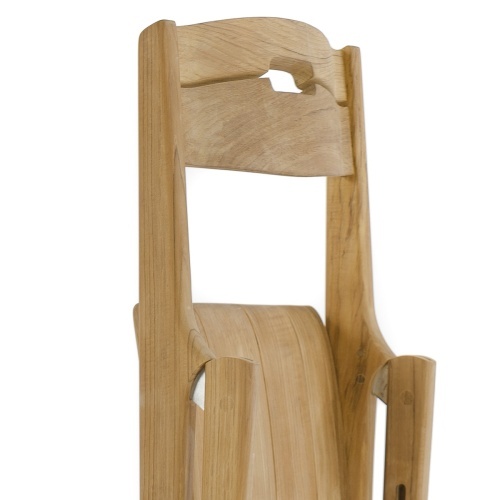 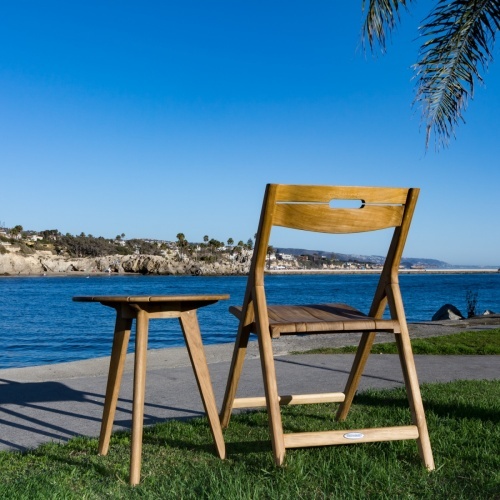 Though visually robust and generously scaled, it is relatively lightweight yet structurally strong given its solid teak stature, allowing this chair to endure the test of time and the outdoors. 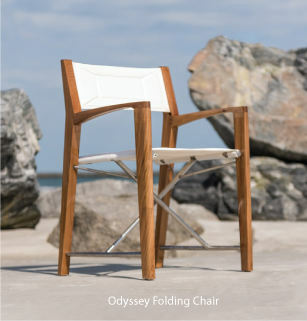 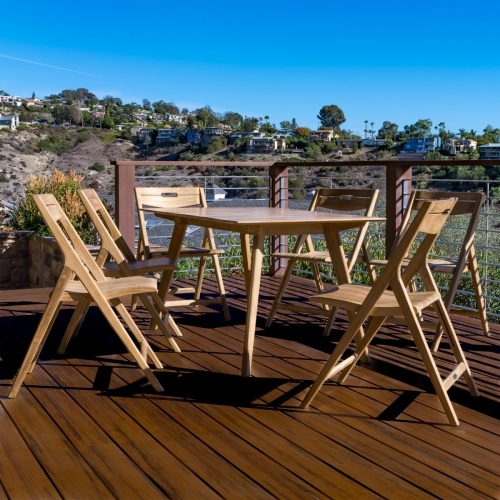 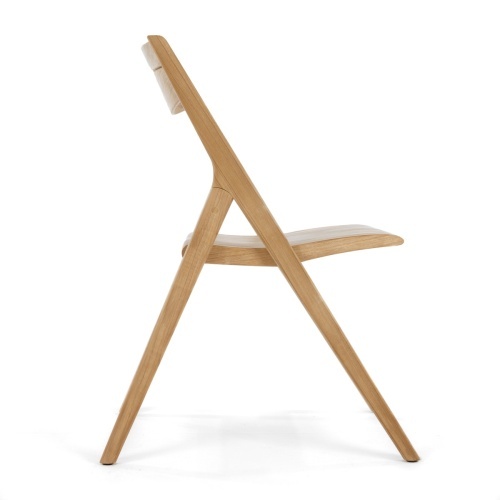 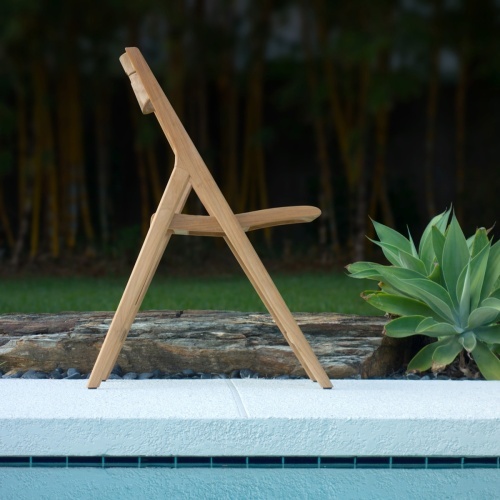 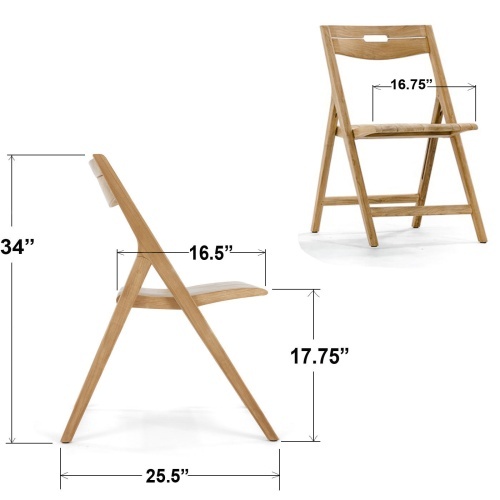 With a graceful stance and statuesque silhouette, the Surf folding chair will fit beautifully anywhere: on a super yacht, at a dining table, on a sun-drenched terrace, or extra seating when needed... wherever, whenever. 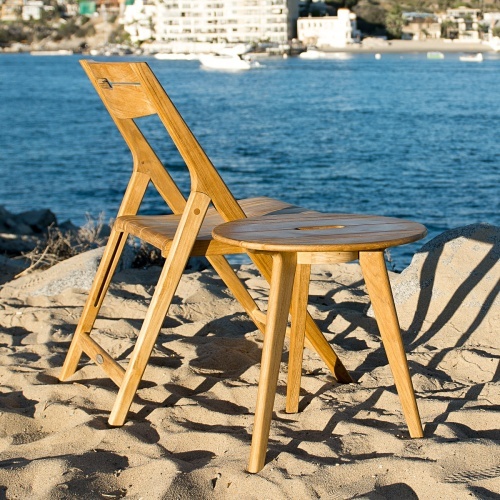 Part of the Surf Collection. The time is now 08:00 AM EST!